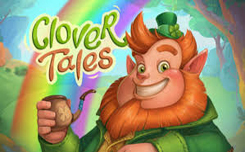 Slot Clover Tales, has five reels and 9 paylines. The pictures are arranged on the screen in three rows. On the drums of the game, you can see: clover, golden horseshoe, leprechaun, fairy and others. Wild (pot with gold coins), it replaces other symbols. Dropping in any cell, it can expand vertically, occupying the entire column. In free rounds wild, is represented on five reels. Rainbow Line – In each back, one of the lines is highlighted by the colors of the rainbow. 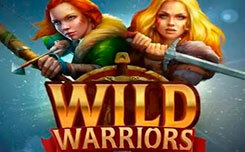 If it forms combinations of high-paying characters, re-spins or free spins are activated. 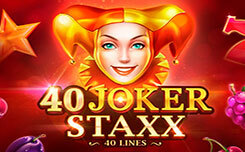 Free Spins – They start chains, from leprechauns, or fairies on the “rainbow band”. Five free-spins are represented in two versions: with expanding wilds on all drums, or with a moving wild, which occupies the fifth column from the first run and gradually shifts to the left. Re-Spins – Sequences of clover, tube or horseshoe on the Rainbow Line launch one of two versions of spin: with “freezing” or “changing” pictures. 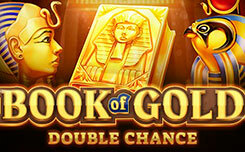 The game is interesting and beautiful, with exciting and free spins in two versions.